Happy Father's Day to my amazing husband! He is amazing and confident with the kids. Actually, ALL kids clamor to him and you know, they say that little kids are good judges of character. Fathering comes completely natural to him and I am so proud of him! I hope you all have amazing Father's Days with your hubbies or your own dads! Happy Father's day to Dustin! Hope it's the best one yet. I just love this family picture. 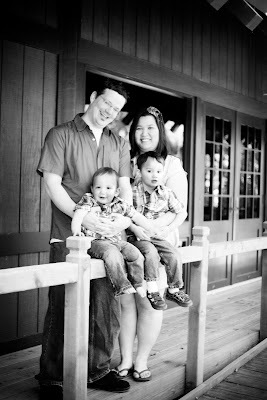 This photo is super awesome:) You have a great photographer:) Happy Father's Day to Dustin! Happy Father's Day to Dustin! This is another amazing photo! Happy belated father's day to Dustin! Love the pic! Aww, another great fam pic! Beautiful family you have, Ashley!! Thanks for sharing this awesome photo!